For the first week of Easter I spent my time creating the grass for the level, since my computer has been playing up quite a bit I have had to keep my work quite simple and try to avoid doing anything intensive, so I have been creating assets in a new map, leaving more tweaks on the landscape material until I have my computer fixed. The problem is that my motherboard on my pc is burnt out so my computer easily overheats and switches off, if I do anything vaguely intensive then the computer just switches off! The grass is something that I have worked on before so I re-used and modified a grass shader I made during last summer, basically I swapped the textures and made changes to the material to make things appear a bit more softer. I tried to keep the grass quite simple, not too much detail to the actual grass blades with a focus on making the grass seem really soft and smooth. 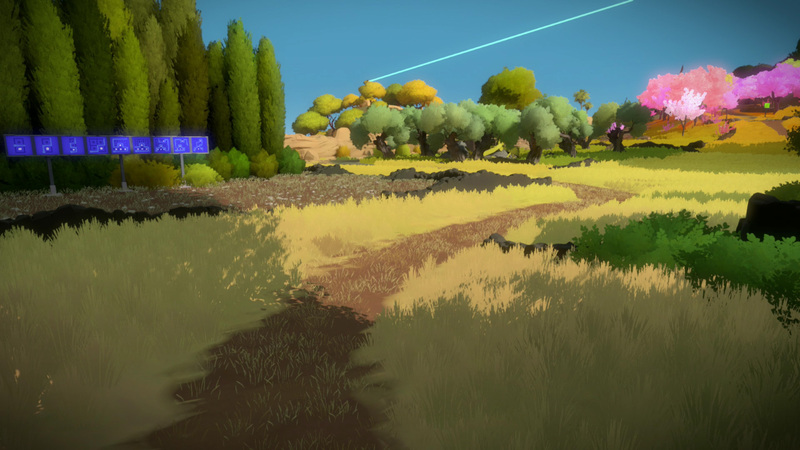 I was looking a lot at the grass in the witness as well as looking at the studio ghibli paintings to get the look I was going for. I had a lot of issues getting the grass to shade properly, so I had to constantly go back and retweak the model and the material. One of the issues was aligning the normals of the grass so they point upwards, making the clumps of grass shade more consistently and help them blend in with the ground. I'm not completely happy with it yet, it still needs some tweaks in the actual level as the light is affecting it weirdly, also the colours aren't correct yet. This is something I will adjust when I have some more foliage in the level.